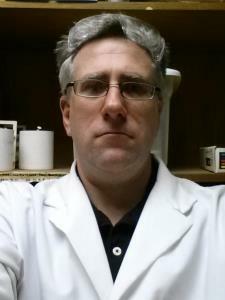 I received my undergraduate degree in chemistry from Wilkes University, did my graduate work at Penn State University and am was an Adjunct Professor of Chemistry at Wilkes and Misericordia Universities instructing organic chemistry laboratories. I can tutor all levels of students from middle school through college. I believe that students learn the best when they are helped to find the answers themselves, thereby understanding the concepts they are learning rather than just being given the answers. I am willing to meet students either at their homes or in public places such as library meeting rooms. Group tutoring rates are also available. Kevin hasn’t set a schedule. I do public speaking for a living. I give at least one public speaking engagement a week and teach a 6-week class twice a week. I specialize in conversational public speaking. Organic Chemistry is the study of the chemistry mainly on carbon but can and does look at and require the chemistry of other elements. Those other common elements are O, H, N, S, Si. There are also transition metals that facilitate the formation of bands to carbon. I have a BS in chemistry from Wilkes University and have 77 Credit hours of graduate work at Penn State. My research was as the complete synthesis of Ptyliomican A, a natural product that is found in a tropical sponge. My daughter felt Kevin challenged her enough and made her think. Felt it was a positive and great first session. Looking forward to really getting a handle on the chemistry.